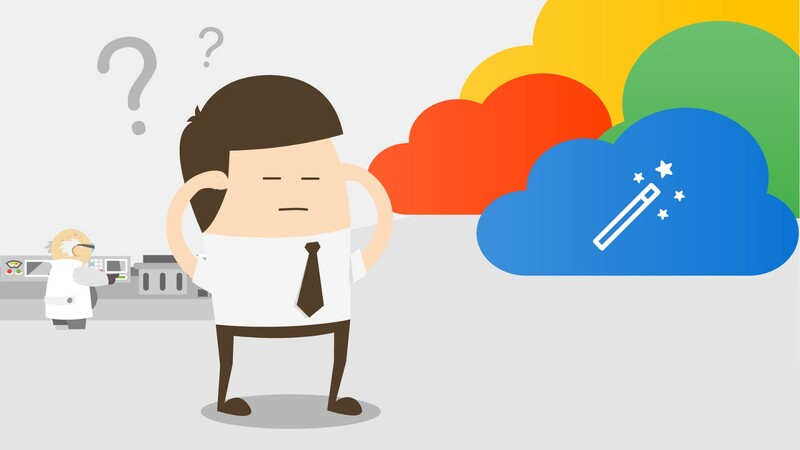 Why is IT ignoring Google’s server-less cloud infrastructure? They’re playing with their toys on Amazon and it’s costing tens of millions in missed business automation opportunities. I’ve spent thirty years managing technology projects in “the enterprise”. That’s 100 projects from $100K to $150M, installing or building software. Most of these have been internet and cloud and they’ve involved working with a broad range of IT departments, CEOs, CIOs and CFOs. The lack of server-less cloud adoption worries me and points to an education failure in IT. I’m amazed at how little IT people know about server-less cloud infrastructure. They don’t know what it is, how it’s different or why it’s so valuable to their enterprise. Serverless cloud is where the provisioning and operation of your infrastructure is fully automated. Of course there are still servers, but you don’t interact with them any more. In a serverless cloud environment you don’t have an infrastructure team at all. The irony is that you’ve automated a big chunk of IT and made it redundant. That work is done by machines and by Google’s engineers (at no extra cost). IT people understand the basics of “old school” cloud. Thanks to Amazon and other cloud providers, it’s no longer necessary to create or operate a data centre. This has brought about big savings, particularly in capital investment terms. Yet this traditional cloud has failed to reduce the human cost of designing, provisioning and maintaining infrastructure. With old school cloud there are architects and administrators playing with computers and networks. They sit Amazon exams and learn how to assemble infrastructure like expensive Lego. They spend weeks automating simple provisioning tasks. Back in the day, my average project would take weeks to line up a dozen of these people and get them to agree. Add another few weeks to provision, test and hand the infrastructure to developers. That’s three months and $100k spent before you even start delivering anything of business value. It’s sheer waste, pure and simple. Automation replaced these jobs ten years ago. It’s a bummer that IT missed the memo (or perhaps they simply chose to ignore it). The clever engineers at Google cracked infrastructure automation fifteen years ago. They had no choice; they were provisioning thousands of computers per week. They didn’t have the luxury of a human messing with each machine. Then years ago Google released this “App Engine” capability for enterprise. The result is that it takes less than one minute for a muppet like me to provision this infrastructure. No architects, administrators, network engineers or developers are required. It’s good enough for Snapchat, the Royal Wedding and Youtube — so it’s good enough for me. In fact, the more you do with Google’s cloud, the more you like it. Moving back to non-automated cloud feels like running a race in concrete boots. But unfortunately this technology has fallen on deaf ears. In five years at 3wks we’ve run 180 projects on Amazon and Google. Our average time to first release is three days. That is, our first release is with the first user by Wednesday of week one. 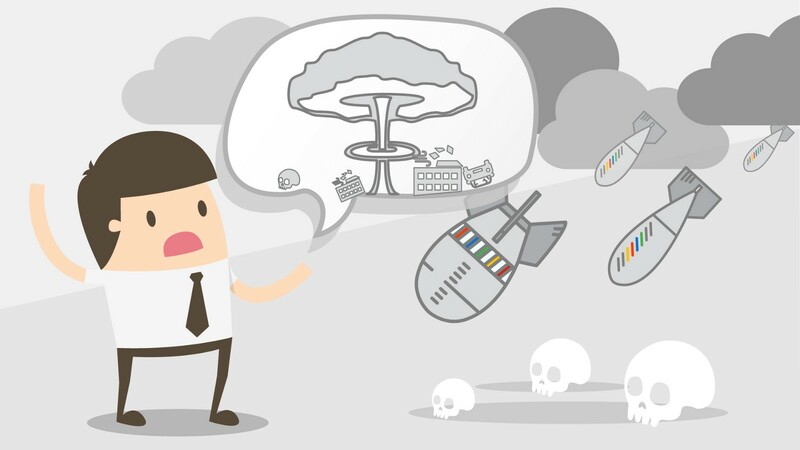 We quote jobs on the assumption that we’ll use Google’s cloud because it’s already there. We don’t need to waste valuable budget and time getting agreement to the obvious. We explain this during pre-sales. If we’re asked to quote on Amazon instead, the price generally comes in around 2 to 3 times higher — sometimes more. Bucking our own policy, these exceptions include a T&M component due to our reliance on the client. As a rule we fix-price our projects. Google is a decade ahead in the automation stakes. If you want to get a grip on how much they’ve invented, search for Google white papers. These are concepts they’ve invented, shared and often open-sourced. Current examples are Kubernetes, Big Table, Colossus and Dremel. All invented to solve “planet-scale” automation issues. Add these to the twenty preceding inventions and compare it to Amazon’s — you’ll get a feel for the difference. But hey — we’re hoping Amazon and Azure will catch up soon, so we can stop having this conversation. We don’t care what infrastructure we use, as long as it’s “full auto”. Why? Because we don’t enjoy wasting our clients’ cash on needless monkey work. The bottom line? Every Amazon project we’ve delivered has suffered an overrun waiting for our clients. We wait while their techies reinvent the wheel, then we get started. With Google we’ve never had to wait for infrastructure. Not once, in over 150 jobs. 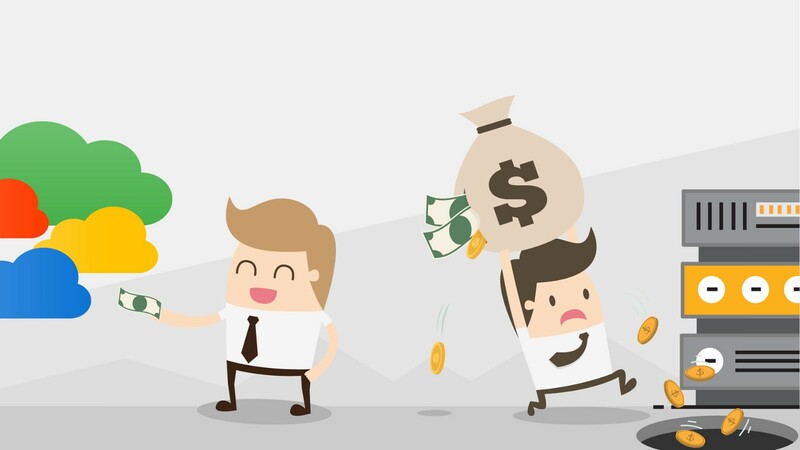 Automation plays an even bigger role in cutting your post-project operating costs. Google’s cloud is 20% of the Amazon operating cost, and that’s being conservative. This is the cost of hosting plus the cost of the staff required to watch and maintain the machines. A typical example is a 4,000-user system we built for a government client. It required three sets of infrastructure or “environments” (for development, testing and production). Google was costing $600/mth in hosting costs which includes administration staff. At our client’s request (against our advice), we moved this over to Amazon. Hosting went up to $4,500/mth. Our client now needed staff to watch and update the machines, a conservative $1,500/mth. That’s a 90% saving with Google. The more environments you have, the bigger the difference becomes. Another client is operating over 100 environments on Google for $1,100/mth. We can’t see a way to host this for less than $50,000/mth on comparable Amazon infrastructure. Amazon costs more because there is a base charge for using their computing power. In the enterprise a per-machine mandatory spend adds up, as you can see. 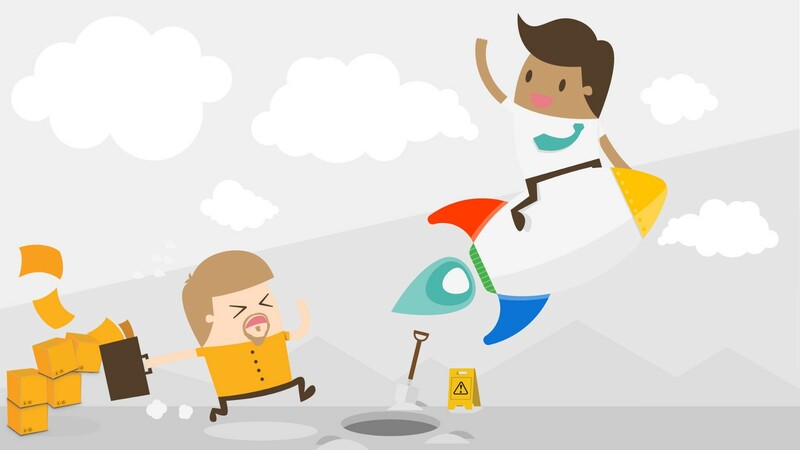 With automation, Google is able to suspend its processes when they’re not in use. At these quiet times (most of the 24hr day) you’re not charged a cent. When the users access the system again at say 7am, the infrastructure takes a few seconds to warm up and off you go. 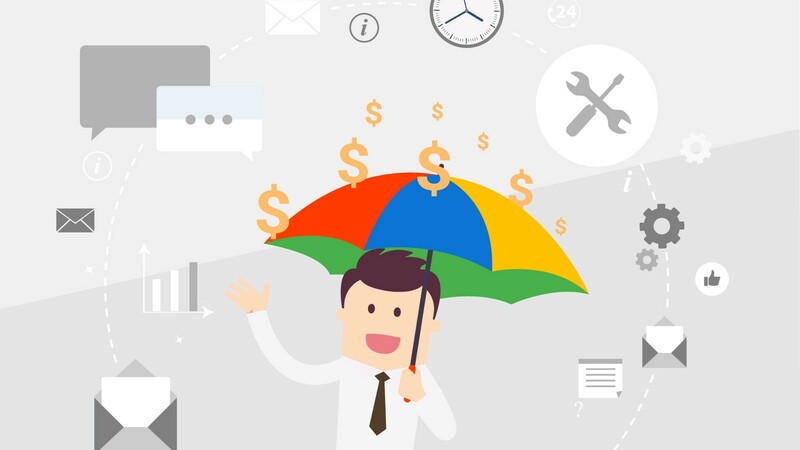 The lower the cost of automation (IT), the more business processes you can afford to automate. In my experience there are hundreds of manual processes left in every large organisation. These are leftovers from a time when the cost of automation was high. Many of our clients report hundreds of processes in HR and finance alone. The triggers for these are still a human and a piece of paper. That’s hundreds of people whose jobs involve repetitive monkey work to some extent. In most cases we can now automate these processes and pay back the project cost in less than a year. I’ve represented server-less cloud to executives in ten or so enterprises. Everyone makes the same mistake. They delegate this assessment to their infrastructure team. That’s like getting a turkey to vote for Christmas right? In fact IT is the department least accustomed to being automated. We’re the guys who automate everyone else aren’t we? What’s this — now our own jobs are at risk? Woah. But it’s happening regardless and IT will resist it like all the other departments did. It’s human nature. To make matters worse, IT has always been able to dominate the board with fear, uncertainty and doubt. Expect this artillery in force as you begin to peel back the covers. Emotive catch phrases like “security”, “lock-in”, and “control” will be your first signals. In my experience, one third of enterprise IT is bound to infrastructure. These are the solution designers, administrators, engineers and people in various architecture roles. Expect resistance from them all. The mistake is leaving it up to IT to automate itself. We need someone independent, and someone on the board. Enter the CFO who, in my recent experience, is the voice of reason. IT has always been about the money — like every other department in the enterprise. I argue that we’ve lost sight of profit in our daily IT decision-making though. Architects tout “total cost of ownership” in their rhetoric when backed into a corner. But when you ask them what that figure is, you’ll get a blank stare. It’s the ultimate bluff. Now, more than ever, I see CFOs taking the lead in arbitrating technology decisions. This is the correct approach. IT must relearn the vocabulary of business: money. And in doing so remove IT jargon from this process. Only then can we have transparency in decision making. 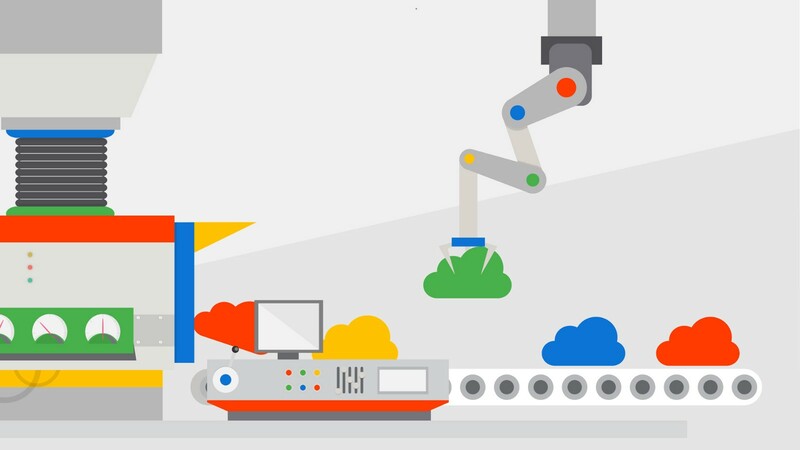 Google’s automated cloud will save you bucketloads. 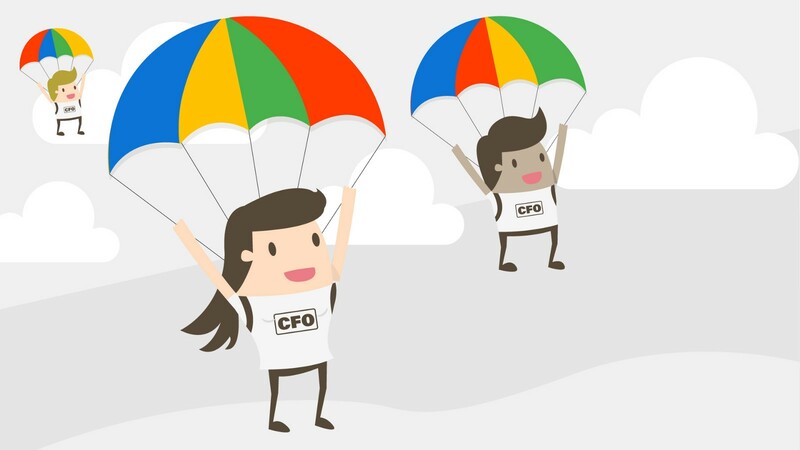 Your CFO is the key to adoption. Encourage IT to explain their resistance in financial terms.